Kim Graybill is a veteran Family and Consumer Science teacher who teaches both middle and high school in Pennsylvania. As soon as my students see the cans of Play-doh sitting out they get excited! 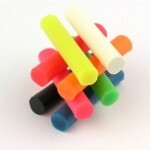 Common questions are “Is that for us?” or “Do we get to play with that today?” And why not? As a child I enjoyed creating things out of Play-doh and still do today. Play-doh is fun and creative! I also enjoy Dr. Seuss books for the same reason. So why not combine the two? When we teach our students about children and the importance of literacy and play, I think it’s only fair to include the importance of creativity and imagination. This interactive lesson strives to connect the areas of development with creative play in a way that, I hope, would honor Dr. Seuss! When it comes to my food, I like to keep it REAL! 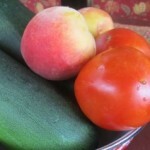 Growing up real foods came from the garden and fruit trees we grew, harvested and preserved. Real muffins, cookies, and desserts were made from the eggs we gathered daily from our backyard chickens and real meats came from the wild game my father hunted and fished for. Home cooked meals were prepared by my mother and were made with real foods with ingredients I actually knew and could pronounce. Sadly, the majority of my students don’t know what it means to eat real. All they know is the pre-packaged, easy to make foods known as processed. This lesson explains the differences between the whole, real foods I know and the processed foods they know and hopefully gives them “food for thought” when it comes to making REAL changes in their eating habits. 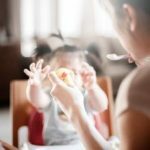 Time to Feed the Baby: Homemade or Store Bought? 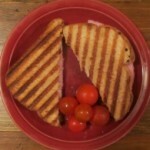 by K.Graybill • July 19, 2013 • Comments Off on Time to Feed the Baby: Homemade or Store Bought? Looking for a guilt free, low calorie, alternative to pasta that will surprise your taste-buds? Look no more! 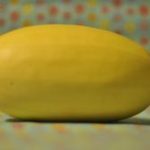 Spaghetti squash is one of those best kept secrets that needs to be shared! Not only is it easy to prepare, but versatile too. So what are you waiting for? Swap out that pasta for spaghetti squash and encourage your students and their families to try experiment and try something NEW. Thinking about some new ideas for middle school labs got me to thinking about a lab I did early in my teaching career when I taught a foreign foods cooking class. At the time we were studying French cuisine and the lab was making homemade CREPES. 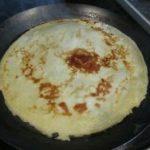 Initially I was intimidated by crepes because they looked too difficult and fancy, but after working through some demonstrations with my students I found they really were a lot easier to prepare than they looked! Crepes are basically really thin, delicate pancakes filled with a sweet or savory filling. Since I know teenagers love desserts and chocolate is a favorite filling, I thought I would explore a recipe that would combine the two popular ingredients along with fruit and work a creative crepe lab back into the curriculum.